DON'T SUFFER FROM SWOLLEN LEGS OR NON-HEALING LEG ULCERS ANY LONGER. WE CAN HELP!! 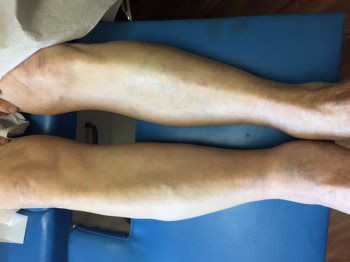 The sequence of photos below shows the before and after pictures of an 87 year old man who had seen multiple doctors over a 3-4 months period of time for his severe right leg swelling. This was not only causing him discomfort, but caused him to fall because of the imbalance it led to. 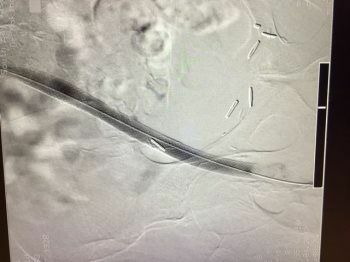 He was found on a regular venous ultrasound in our accredited vascular lab to have abnormal flow in his right iliac vein. The next day, we took him to our Campbell angiography suite for a 45 minute outpatient procedure. 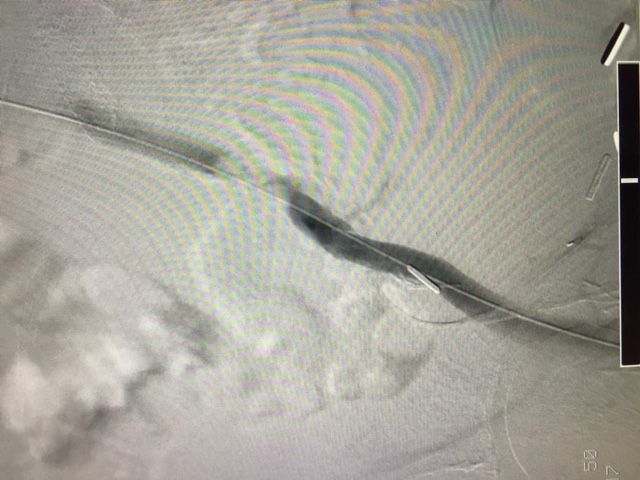 There, using both venography (injection of contrast into the vein through a small straw like catheter in the groin) and IVUS (intra-vascular ultrasound) we diagnosed a scarred and blocked right iliac vein system. This was easily treated with a stent and balloon. 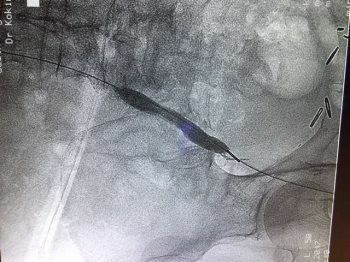 Unfortunately, this was found to be a result of a combination of radiation treatment the patient had received 20 years before for his prostate cancer as well as because of a return of his cancer. This tumor (seen on CT scan) was surrounding his vein. When he came back five days later for a check, his right leg swelling was gone as was his leg heaviness and aching. Please note, compression of the iliac vein usually (80%) occurs on the left. 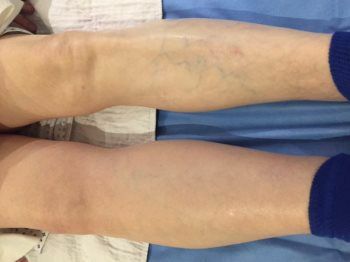 Often, if leg swelling occurs on the right, it may be a sign of a tumor or mass pushing on the vein in the abdomen. Inserting a wire into the diseased vessel. Notice the light colored area where no blood was flowing. Opening the diseased vessel using a "balloon". If you or anyone you know suffers from lower leg swelling, call us today to set up a consultation to evaluate your treatment options.